“Shipping, Fanart, and the Woman of Colour” was originally published in Koru Mag Issue 2 on June 23, 2017. The word ‘ship’ was one of nine over-used words in 2016 (Garcia, 2016), and according to author Kathleen Smith of ‘The Fangirl Life’, it’s okay to ship. By 2017, ‘shipping’ had reached mainstream status that Vanity Fair and EW have included shipping in their articles. (Robinson, 2017; Serrao, 2017). I grew up watching Voltron, an Americanised, mashed-up version of two Japanese animations called Beast King GoLion and Dairugger V.
I fangirl Voltron and ship Keith and Allura. It’s a “het” ship and recently labeled as a ‘rare pair’ by the new online fans of Dreamworks Netflix’s 2016 animation, Voltron Legendary Defender. Voltron has had a few reincarnations since 1984: an early computer generated (CG) animation called Voltron Third Dimension (1998), and Voltron Force (2011), the latter of which was animated by Toon City in the Philippines. Voltron Force was broadcast in Australia on free-to-air television via ABC3, and by 2012, Australia came out with an exclusive box set of that series, which made me one happy fangirl. In this 2011 reincarnation, the two Voltron pilots I shipped—Commander Keith and Princess Allura—were older. It was amazing to see that my two favourite 80s cartoon characters had matured with the fans. I joined the online fandom community in late 2012, gushing about Voltron Force’s Keith and Allura. I was the eager, enthusiastic newbie inside existing discussion groups that had been around for decades. I also found myself lost and confused when navigating the nuances, the inner hierarchies, and jargon. As an outsider, the discussions in USA-centric forums appeared odd, different. I pushed away the thought that American fans of Japanese anime were not xenophobic. Were they? Some fans couldn’t even believe I was tweeting, emailing, and chatting with them in real time, all the way from Australia. The seasoned fans seemed to think that the Voltron fandom was only in the USA. Were they unaware that there were fans outside the USA? My interactions seemed too enthusiastic, bubbly, and happy for their liking. I was too irreverent, disrupting their staunchly-held hierarchical spaces. I also had difficulty understanding why fans didn’t like Voltron Force. Despite sharing the same ship, fans complained about minute details such as Keith and Allura’s change of eye colour. The artwork, the redesigned uniforms, and even the story became subjects for scepticism and debate. Some of the fans even mentioned that Voltron Force’s Keith was simply…too dark. They didn’t know I had the same skin colour as Keith’s. My pen name didn’t reveal was that I was a fangirl of colour. In 2016, Netflix launched a new series from Dreamworks Animation: Voltron Legendary Defender, which is a reimagining of 80s cartoons Voltron. Adapted from the pair of anime series—Toei Animation robot anime: Beast King GoLion and Armored Fleet Dairugger XV—the 80s Voltron story centred on five young pilots who fight against an evil empire of alien conquerors with the help of five mechanized lions that combine to form a giant robot. I was relieved when the 80s Voltron fans—who previously hated Voltron Force—enjoyed watching the Dreamworks Netflix version. But there was one thing that was missing. The seasoned Voltron fans were not shipping Keith and Allura. Confused, I decided to draw Keith and Allura’s from Voltron’s three different versions using the same pose. Using a digital drawing app called Sketchbook Pro on my mobile phone, I captured the exact colour palette used in each of the animation series. Left Panel: 80’s Voltron Keith and Allura skin tones were nearly similar. 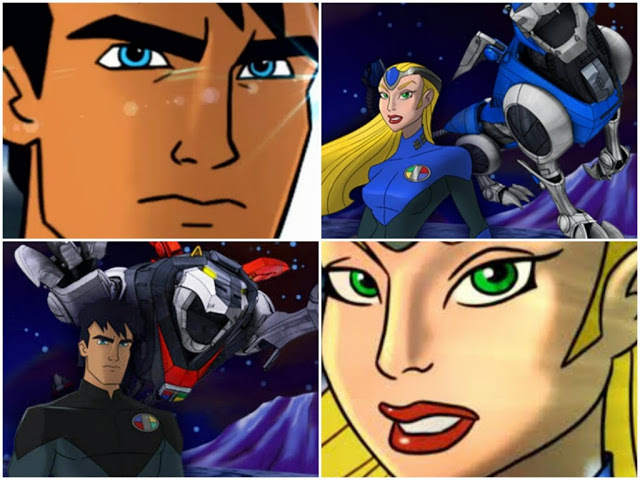 Middle panel: Voltron Force version Keith and Allura’s different skin tones more apparent. Right panel: Allura transformed from a blonde and blue-eyed princess to a woman of colour. Did the change of skin colour, the difference of skin tones reflect the negative feedback about the characters? The podcast was an eye-opener for me. It confirmed something I couldn’t pinpoint, name, nor understand inside my own fandom. Meanwhile, in the realm of comic book entertainment, the hit CW series The Flash underwent a similar change for one of its core characters. Iris West, traditionally depicted as a pale-skinned brunette or redhead, was now played by Candice Patton, a woman of colour. “When the geek community is asked to empathize with characters who don’t look like them, the backlash can be severe… Perhaps this reveals the heart of the matter—that white viewers are forced to empathize with characters that don’t look like them in a genre they thought they owned.” (Bastien, 2016). Fansplaining’s podcast episode #22B also mentioned that generally, people have different reasons and excuses why they don’t like shipping women of colour (Klink and Minkel, 2016). Before 2016 ended, the mega-fandom Star Wars mourned the passing of Carrie Fisher who played the iconic character Princess-General Leia Organa. I couldn’t help but reflect on my fandom’s own iconic princess, Allura. Growing up in the 80s, under the watchful eyes of autocratic parents, I viewed Leia in the cinemas, and Allura on the telly every week, reflecting on what I wanted to be when I grew up: A strong, capable individual, who could do anything and still be loved by someone. And just like Allura, I wanted my own Keith by my side, and soldier on. But the narrative seemed to shift recently. “Princess General Leia in TFA, she is a ruler without a planet, a daughter without parents, a sister without a brother, a wife without a husband, and a mother without her child. Any one of those could, and has, broken a woman. Any combo of two would see a real woman struggle. But carrying all of them, Leia is still quipping. Because that’s what we are told strong women do — endure everything, on our own. Hollywood writers don’t recognize what makes heroines iconic to the fans. They pay attention to the feminist formula for the Strong Independent Woman (TM) and write guys who happen to be female. They often modify women to give them mystical powers in order to explain why they can hang with the men in battle. To give concrete examples what Leslie Loftis and Haxine pointed out, I watched Voltron Legendary Defender seasons 1 and 2 on Netflix. Allura, the last woman survivor of a decimated planet, remained in the castle ship while the rest of the team went out on training and missions. It was a similar situation in the ongoing comics series Voltron Legendary Defender written by the same writers from the Netflix Dreamworks Animation team. In Volume 1, Allura was left alone in the castle recuperating while the rest of the Voltron Paladins were out in their space robot lions. Why didn’t they include Allura in the narrative? “WOC, black women especially, get coded as sexless caretakers, emotionless warriors, or hyper-sexual jezebels. What each of these racist tropes lacks is healthy, loving relationships. We don’t see women of color being loved, being cared for and thus struggle to see them as romantic partners, beyond sexual fetishization. So, did Voltron fans react in the same way as fans from other fandoms when faced with central characters of colour? Did they stop shipping Keith and Allura because Allura is now a woman of colour? Already, I’ve seen fan-artists create fan merchandise—charms, stickers et al—without Allura, giving various excuses when asked why they’d omitted her in their designs. The challenge I’m keen to raise with The Powers That Be—now that Allura has been redesigned as a woman of colour—what arc will the writers give Allura? Would the Dreamworks team of writers buck Hollywood’s formulaic trope of a ‘strong’ woman, woman of colour—alone, angry, and aggressive—to evolve into a fully-fleshed out character, with a loving, healthy relationship? After thirty-two years, I hope that this time around, the Dreamworks Voltron Legendary Defender writers can finally provide fans something the show’s previous incarnations had neglected: a happily-ever-after ending for the iconic Princess Allura with Keith by her side. As we wait the final season of Voltron Legendary Defender, dropping on December 14, 2018, we would like to wish KAEX Yahoogroup a Happy 20th Anniversary! We thank admin and moderator Lionesse for keeping the Yahoogroup alive online, so that K/A shippers continue to enjoy a safe space to ship one-true-pairing (OTP) Keith and Allura. We’ve seen different iterations, changes to our OTP’s portmanteau. From K/A for Voltron84, to #KeithandAllura for Voltron Force 2011, and the latest version as #KAllura for Dreamworks Voltron Legendary Defender. We thank all the new fans, new friendships formed around the world, the fanartists who made fan merch available to enjoy our OTP. We are grateful and thankful for sharing your talent and skills to this corner of the universe. And no matter what the end game for the Netflix version, we remain faithful and supportive of KAEX Yahoogroup. #KAlluraForever ! Like in other Voltron iterations, the final season of VLD is not an ending for us, but a beginning : it is the best time to create fanworks and continue to support Voltron official merchandise. We dedicated Voltron fans made a conscious choice to upload this Thanksgiving blog post before the final season 8 is released. No matter what the ending, we would like to thank you for this amazing journey which began in June 2016. Over these past few years, we forged new friendships across the world, created fanworks showing our love for our giant robot and its paladins, and listened to Lets Voltron, the official Voltron podcast, for the latest Voltron updates. We thank you for linking both comic books and books to the Netflix series, giving us something that the fandom has always wanted: that the artwork be consistent to the animation. Thank you for fulfilling our wish. We thank you for your convention panels, and especially for your patience and understanding despite the often negative discourse – at times directed at the VLD creators and voice actors themselves. You faced them with grace and class. As Voltron fans, we shall forge on long after VLD has left our screens. And as we have always done across the years, we shall continue to support official merchandise. Finally, apart from written messages, we also received fanart and fanvids to send to the entire creative team of Voltron Legendary Defender. To conclude our Thanksgiving blogpost, we would like to share headcanon fanart from cb.mako and fanvid from WindyC. We kick off the first day of the 2018 greeting KAEX Yahoogroup a Happy 20th Anniversary! And it’s never too late to be a Voltron fan, especially if / when you’re keen to write stories–including fanfiction. Let ageism be gone from your vocabulary as we share a timely, new, and brilliant New York Times column from author and essayist Roxane Gay about writing. Anna Hackett, Science Fiction-Romance (SFR) author from Western Australia, sent us a copy of a kids magazine with Voltron Legendary Defender on the front cover, and a two-page spread inside. We’ve featured Anna Hackett in a previous blogpost and she even gifted us a fanfic which we share every March, during our fan blog’s anniversary. When you explore the SFR worlds, which Anna Hackett created, you’ll notice Keith and Allura attributes in many of her books. As it’s summer Down Under, we would like thank Netflix ANZ for airing Voltron Legendary Defender in Australia and New Zealand. Also, thank you for comic books by Lion Forge and chapter books by Simon and Schuster. This is what Voltron fans have been awaiting all these years: that the comics and chapter books share the same story line as the animation, all written by the same team who created the Voltron Legendary Defender universe. We are grateful that these are available at comic book stores, the official Voltron Store, and as digital download via Comixology and Amazon Kindle. And even though Australia is so far from Voltron Legendary Defender’s headquarters (whether Dreamworks Animation or World Events Productions), we would like to thank Voltron’s official podcast Let’s Voltron and podcaster / host Marc Morrell. Happy 4th year anniversary, Let’s Voltron Podcast! Thank you for making it possible for fans outside the USA to receive timely updates from various comic-con panels we could only dream of attending. Voltron is truly a global fandom and this is the best time to be a Voltron fan! 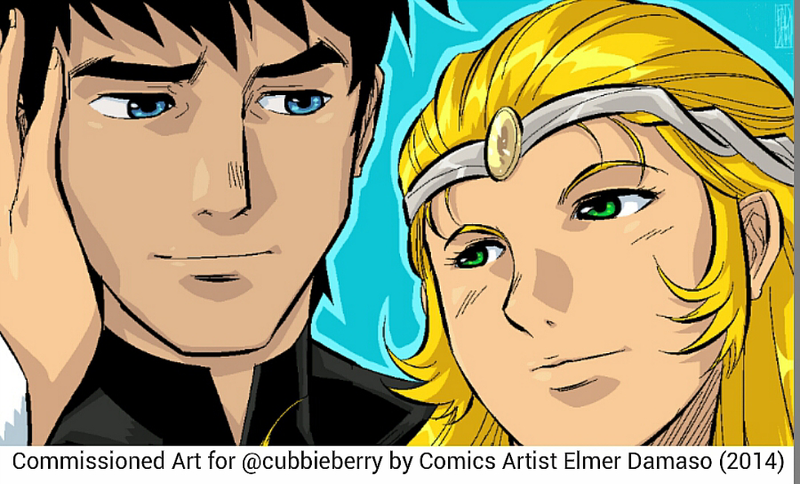 While The Powers That Be went off-tangent with a seasoned comics writer, creating another set of Voltron Force pilots, among #KeithandAllura fanshippers, we continue our fan-ship adventure by looking for K/A in other realms of genre fiction. When Voltron fanfiction writer Paulina Ann introduced fans to her fanfic arc Chivalry, where she sent K/A time-travelling back to medieval Arus, I was challenged to read more of knights, clad in suits of armour and wielding broadswords. But I also wanted to read about kickass princesses / ladies of nobility wearing armour and wielding their own weapons to defend their realms and kingdoms. While I had a blast reading sci-fi romance and regency romance through most of 2014, I decided to bravely step out of my comfort zone and read another romance sub-genre. By the beginning of 2015, armed with my mobile Kindle app, I stumbled upon the ebooks of historical medieval romance author Kathryn Le Veque. In Kathryn Le Veque’s medieval world, women are strong, smart, and capable of defending themselves. Her medieval landscape was completely different to the polite society of Regency and Victorian historical romance. Her medieval world was bloody and brutal, which reminded me of Beast King GoLion, the original Japanese anime version of Voltron that was rife with blood, gore and dismemberment. But once I got used to the medieval landscape, I was entranced, smitten even. One of Kathryn Le Veque’s novels I particularly loved was so close to our favourite fandom couple. 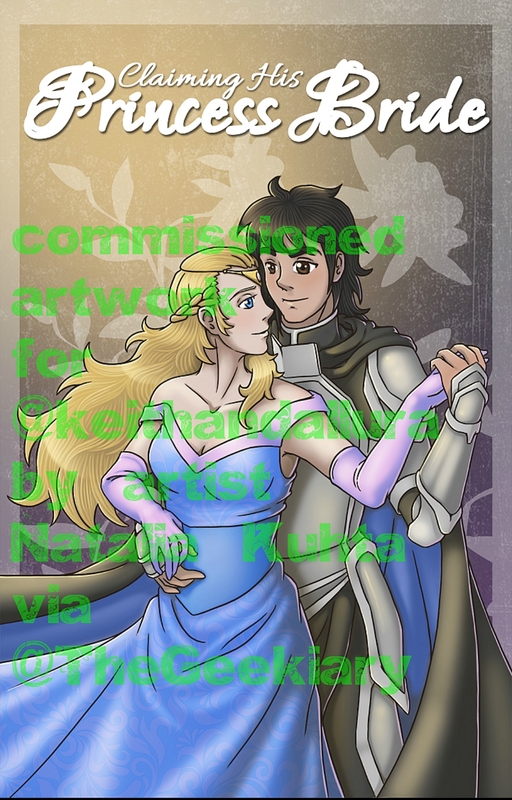 “Unending Love” is about a knight and his lady with physical attributes identical to Voltron Force Keith and Allura: handsome knight Maddoc du Bois had black hair and blue eyes; And Adelind de Aston, an earl’s granddaughter with blonde hair and green eyes. The book cover had even a Black and Blue colour palette. I loved the book so much, I even got the audiobook edition and would listen to it while doing the dishes or cooking dinner during arsenic hours. And yes, I even cried when I first read this book. (If this was a tweet I’d be hashtagging #hopelessromantic #sorrynotsorry). Then, I realised, writing Voltron KA shippy fanfiction is indeed a mixture of sci-fi, romance, fantasy, paranormal, and even medieval. Thus, my Voltron AU medieval KA fanfiction “Claiming His Princess Bride” was born as a reply to a KAEX Challenge raised by cheetoy called ‘Royal Twist’. To date, the FanFic has grown to twenty-one chapters, and I will be adding the final set of chapters by the end of November 2015. 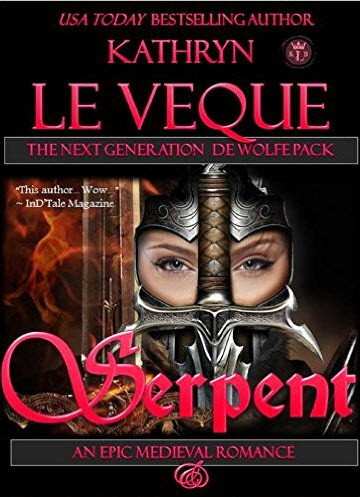 Coincidentally, on 29th October, Kathryn Le Veque is generously sharing her characters from one of her series The Wolfe Pack. She has opened the doors to writers who are keen to write and continue her characters’ journey through fanfiction on Kindle Worlds.